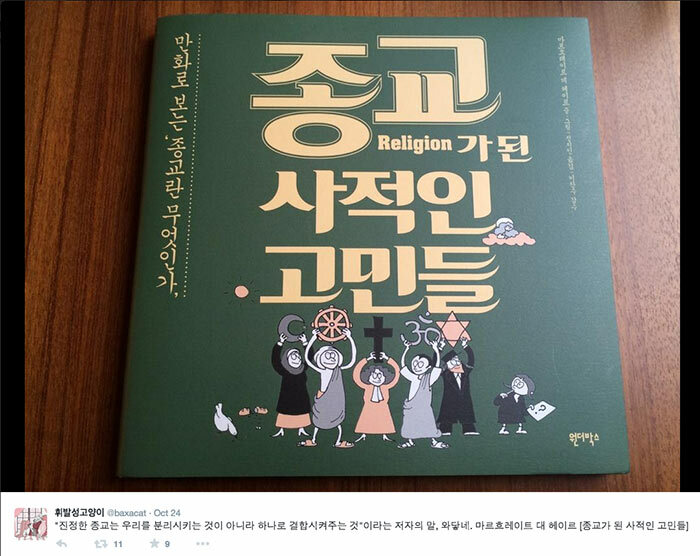 My comic book about Religion (yet to be published in the U.S., hopefully next year) has just been released in South Korea! It’s really strange to see my pictures combined with (for me) illegible signs – and even stranger (but very nice-strange) to find that people so far away are not only reading the book, but actually twittering about it! This cover is so different from the original one, but I do like it. 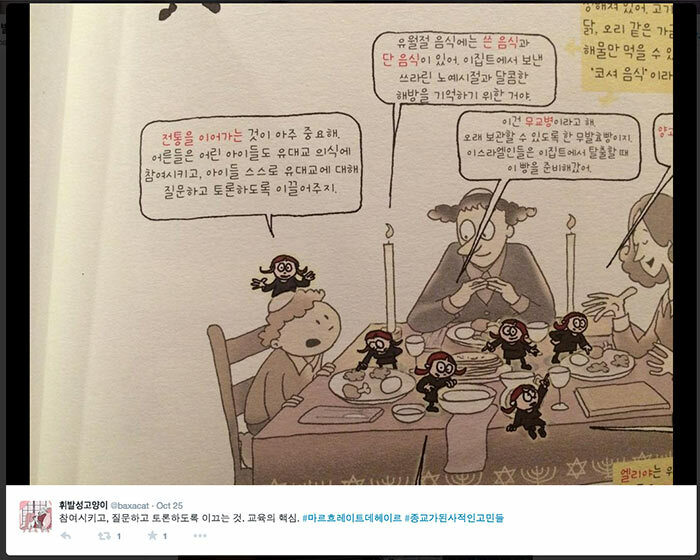 I drew the front illustration especially for the Korean edition. The title translates to something like “Religion is a personal affair”. It’s a very gratifying thought that people in a country so far away, with such a different cultural background, seem to appreciate the outlook on religion of a Dutch protestant Christian-raised, Buddhism-interested, Hinduism-infatuated, Judaism-appreciating, Islam-valuing girl like me! Publisher Bulkwang has published all of my three books in the last year! The cooperation over such a distance and language barrier was managed smoothly by Amo Agency. I’m very proud of this! 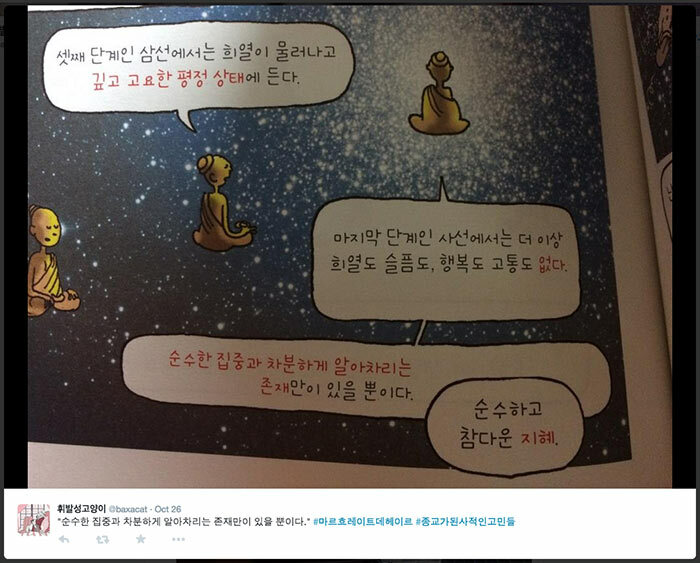 This book will probably be published in the U.S. with the title Religion: a Discovery in Comics. Indeed, Margreet, we’re looking to slot it into Fall ’15! Now that it’s sanctioned in Korea, we can proceed.